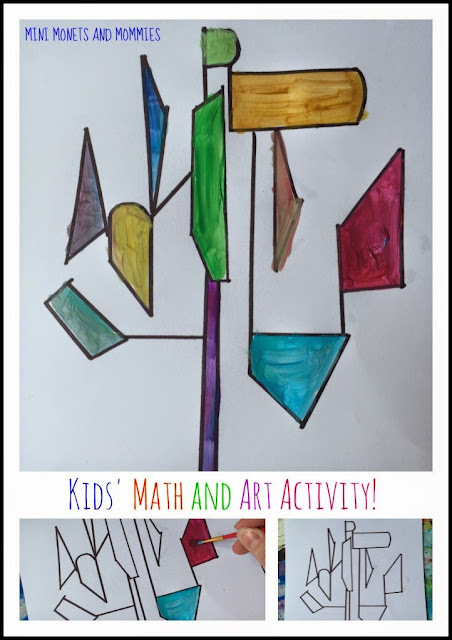 Mini Monets and Mommies: Mondrian Makes Kids' Math Activities Into Art Fun! 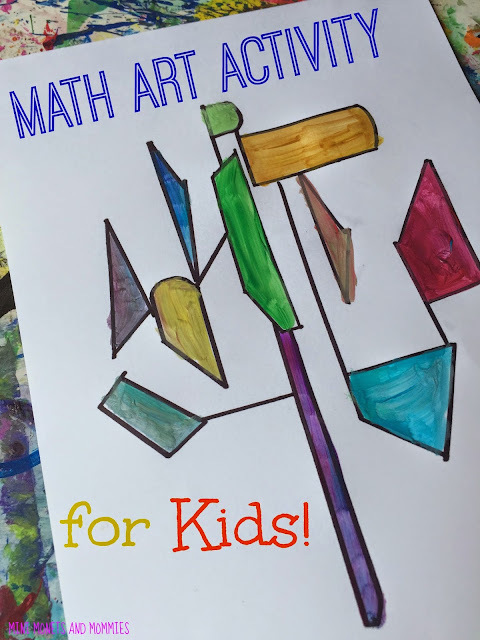 Mondrian Makes Kids' Math Activities Into Art Fun! Kids’ math activities can be creative, artistic and above all – fun! I get it, sometimes there’s a need for worksheets. But, sitting hunched over pages of problems isn’t exactly intriguing for most kids. So much so that when my son got to middle school, he decided that the ‘home’ in homework really meant homeroom (that didn’t work out well, as you may have guessed). · Cardstock paper or a canvas – You can buy an inexpensive pre-stretched canvas at an arts and crafts store. (You can adapt this project for children of different ages. If you have a preschooler, focus on basics such as shapes and reading the numbers on the ruler. Older kids can pay more attention to the actual measurements and create fractions by dividing shapes into parts). 1. Draw a ‘tree’ using the marker and ruler. Your child can measure out shapes as leaves and a trunk. 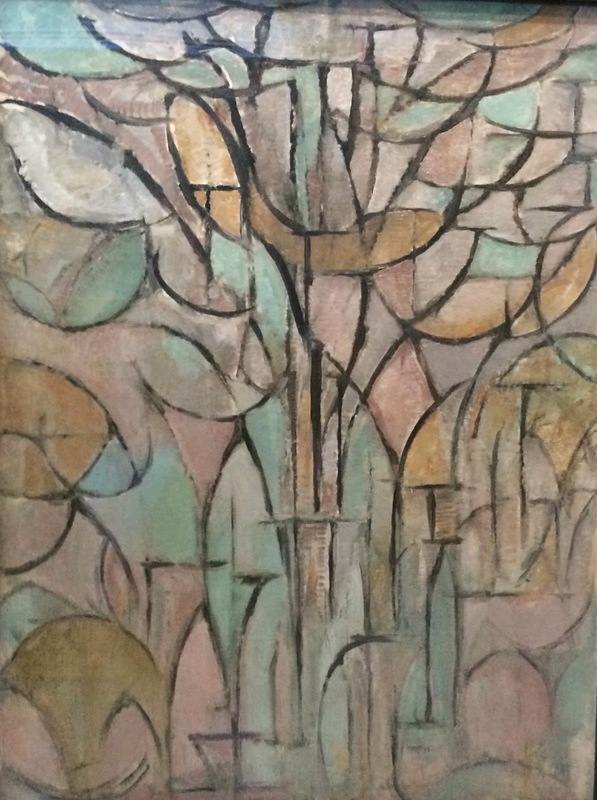 Remind him that Mondrian’s Trees doesn’t look realistic. Encourage him to get imaginative and design his own abstract shape tree. 2. Pour the paint into pools. I like to use wax paper as a quick and easy (and inexpensive) palette. Have your child mix up his own colors. He can try a traditional green tree color scheme or go with a season (for example, oranges, yellow and reds for fall or whites, greys and blues for winters). Another option is to use colors that aren’t exactly ‘real’ looking. 3. Paint between the lines. Don’t worry if your child ends up painting on or over the lines. The idea here is that he tries to create color blocks (this is also a great way to improve fine motor skills). I'm usually not a 'color between the lines' type of girl. But, in this case it really can help to build your child's dexterity skills and eye-hand coordination. No one’s perfect, and your child shouldn’t expect to paint in the lines all of the time. 5. Go over the lines with the marker or black paint (use a thin brush or a toothpick that your child dips in paint). Your child doesn’t have to just make a tree. He can make a flower, elephant, gerbil or anything else that his creative mind dreams up. Are you looking for more kids’ math activities that also double as art? Follow my Pinterest board to find ideas! Very interesting! We love art adaptations in our home and I like this math twist. Thanks for the inspiration! That is very stunning and a creative way to incorporate maths.Thanks for linking to my blog for the Parenting Pin-It party.